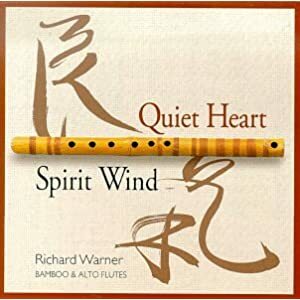 Beautiful notes drawn out in long breaths and played through both a bamboo flute and an alto flute create a gentle reminder of the peacefulness of silence and nature on tracks like “Quiet Heart”, “Spirit Wind”, “Inner Flame”, “The Temple” and “Moonlight on the Mountain”. The sound of crystal glasses echoing throughout a large chamber to accompany the solo flute on “Spirit Wind” is heavenly. Appropriate for those role playing moments where the silence should be emphasized, but gives a little something extra. Also I could see using this for any holy temple or sacred grove type of location.